I recently upgraded my camera with the purchase of the Canon EOS 60D. It’s my second dSLR & it’ll take over the bulk of my photography from the trusty EOS 450D/Kiss X2 that has served me well for almost 3 years now. For some reason the upgrade got me thinking back to my point-and-shoot days. I got to typing & before I knew it I had an blog entry outlining what the crossover from point-and-shoot to dSLR photography had done to me as a photography enthusiast. All pictures in this entry were taken on my Canon PowerShot A520 point-and-shoot & at a time when point-and-shoot cameras were all I knew. I was shooting with point-and-shoots for 4 years before venturing over to the world of dSLR photography. I love the hobbyist that owning a dSLR has turned me into, keeping in mind that you have to be some kind of photography hobbyist to buy a dSLR in the first place. But I’ll say this here and now – I do sometimes miss the simpler, no-nonsense photography life that one lives when shooting pictures with a good point-and-shoot (with good being the operative word). 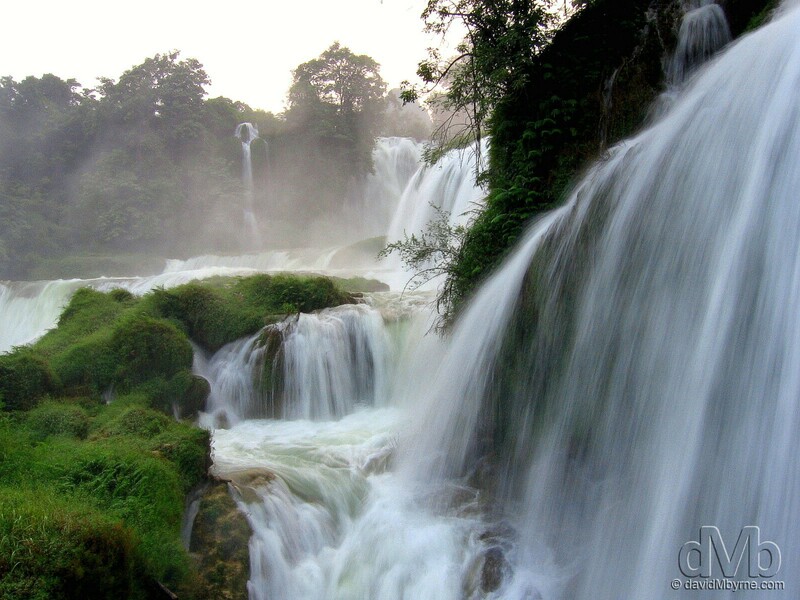 The multi-tiered Detian Falls on the Chinese/Vietnamese Border. September 1st, 2005. Assuming you’re not one of those dSLR owners who never shoots more than a few post-purchase shots & you’re not in the 80% bracket of dSLR owners who don’t own any lens other than the one that came bundled with the camera (I read that statistic somewhere & kind of believe it), then owning a dSLR takes you onto a different level of photography, one that, if you succumb, demands more of your time – a lot more of your time – than shooting solely with a point-and-shoot does. 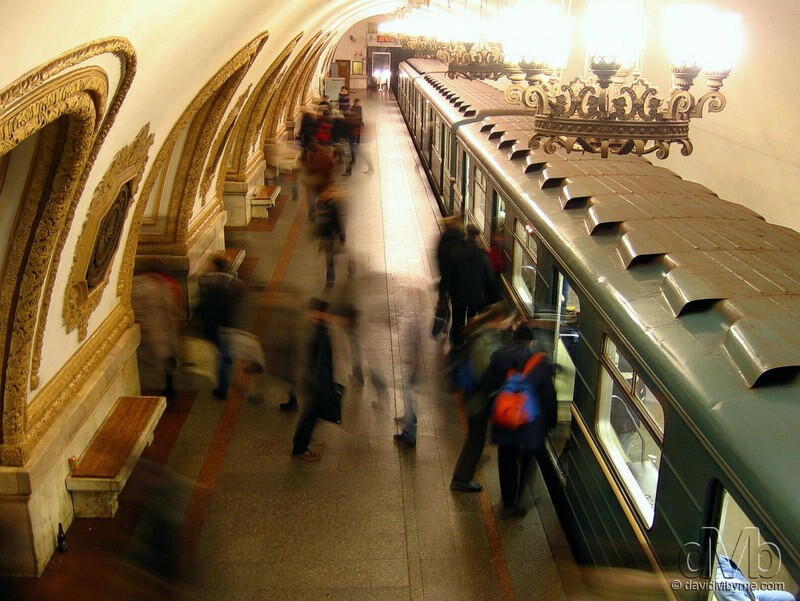 Kievskaya subway station, Moscow, Russia. February 26th, 2006. With the complexity & capabilities of modern day dSLR’s, even the entry-level ones, you invariably spend more time learning your camera, which in turn typically means more time learning the ins & outs of photography itself (& vice versa). You typically spend more time actually taking pictures, knowing you have better equipment to do so. If, like me, you’re always looking towards your next lens then you probably spend more time hopping from website to website & forum to forum researching what type of lens you should buy (wide-angle, macro, prime etc. ), & which flavor of it would be the best for you (will I get the 10-20mm Sigma or the 12-24mm Tokina? ), when really you want to buy & experiment with them all, knowing all the while that you can’t. With a dSLR you’re probably likely to get more familiar with, or even be introduced to, post processing software programs like Adobe Lightroom or, & if you’ve way too much time on your hands, Adobe Photoshop, & spend time doing some post processing of your images, especially if you’re adventurous enough to shoot RAW, another dSLR trait you’ll be introduced to. Finally, if you’re as devoted, committed, crazed – insert suitable adjective here – as me you’ll probably spend eons of time that you don’t necessarily have creating a website where you post pictures and type stuff like this, content no one other than yourself is ever likely to see or get enjoyment out of, a fact that won’t bother you in the slightest. 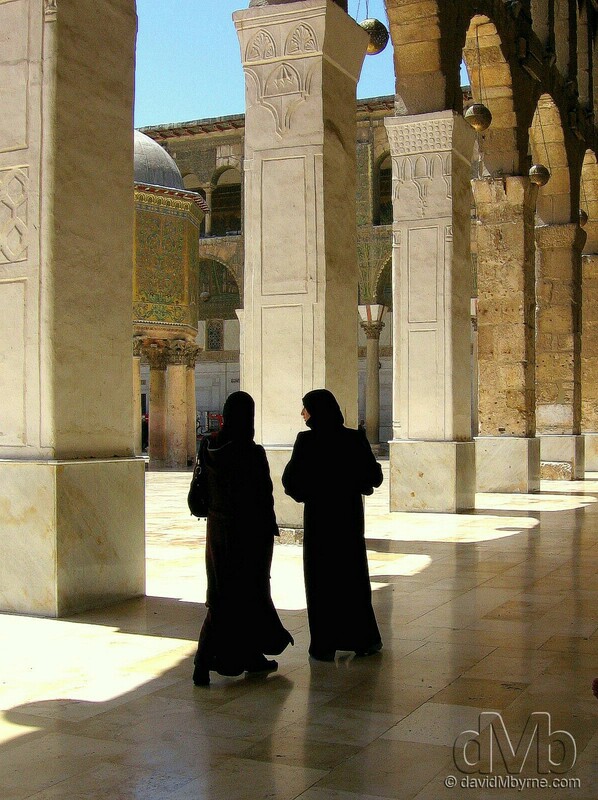 In the courtyard of the Ummayad Mosque in Damascus, Syria. May 5th, 2008. Oh yes, dSLR photography is a different proposition indeed, a different ballgame altogether to point-and-shoot photography. I’ve crossed over now & I know for me there’ll be no going back, just forward. While these days I’d never dream of going many places without my dSLR and a lens or two, I’m still very conscious of the fact that I did just that for the 4 years before I discovered dSLRs (& was happy with the results too). Photography life was simpler, less demanding & way less time-consuming back then. But photography life wasn’t nearly as much fun.